Sources said that the terrorists were travelling in a truck and they opened fire when police naka party signalled it to stop for checking. Thereafter, the terrorists fled towards Udhampur side. A 52-year-old civilian was injured on Wednesday morning as suspected terrorists opened fire on a police naka at Jhajjar Kotli along the Jammu-Srinagar national highway. The injured has been identified as Ganesh Dass, an employee of the Sericulture Department. He has been brought to Government Medical College Hospital in Jammu. Sources said that the suspected terrorists were travelling in a truck and they opened fire when police naka party signalled it to stop for checking. Thereafter, they fled towards Udhampur side. Reinforcements of police and paramilitary forces have rushed towards the area. According to SSP Jammu, Vivek Gupta, police have seized the truck and arrested three people including its driver and cleaner. An AK rifle sling with some ammunition have been seized from the vehicle, he said, adding the hunt is on for absconding militants. The latest terrorist attack along the Jammu-Srinagar national highway has come seven months after three terrorists attacked Sunjwan military station in Jammu killing half a dozen people including five soldiers before getting killed. In 2015, two terrorists had attacked a BSF convoy at Narsoo, at nearly 30 kms from Jhajjar Kotli, along the national highway near Udhampur. In the exchange of fire, while one terrorist was killed, another was captured alive. Significantly, during the past fortnight, there has been a surge in incidents of militant sighting across Jammu region. 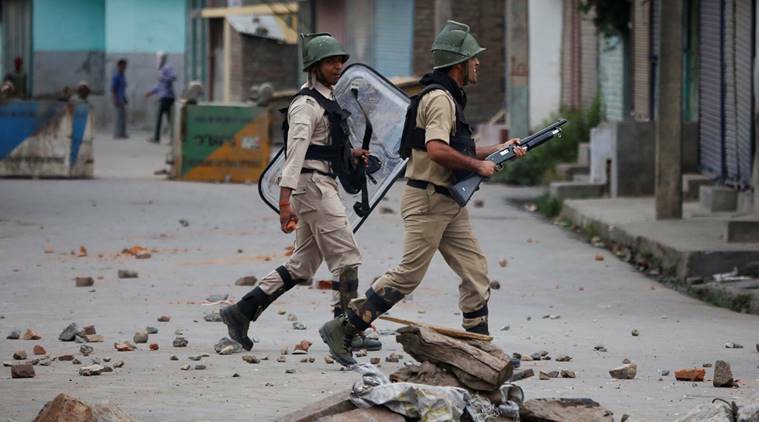 Since Monday, police and security forces have been carrying out a massive cordon and search operation in Lamberi and surrounding areas which is house to State BJP president Ravinder Raina. The BJP leader is also Nowshera MLA.